For the past year, I’ve been quietly working on writing my first career advice book. 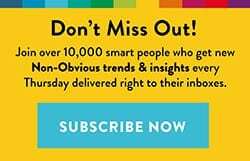 It is called Always Eat Left Handed and I am proud to share that is just launched this week! 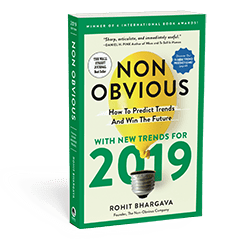 This entertainingly irreverent book from Wall Street Journal bestselling author and occasional Georgetown University professor Rohit Bhargava filled is with brutally honest secrets of success no one has ever dared to tell you. Start smoking? Be a cross-dresser? Procrastinate more? Make people cry? Learn to yodel? 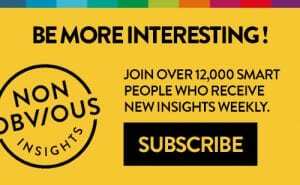 For anyone sick of hearing you should do what you love, take more risks and make mistakes, this empowering book is like a desperately needed pair of noise-canceling headphones for uselessly obvious advice. 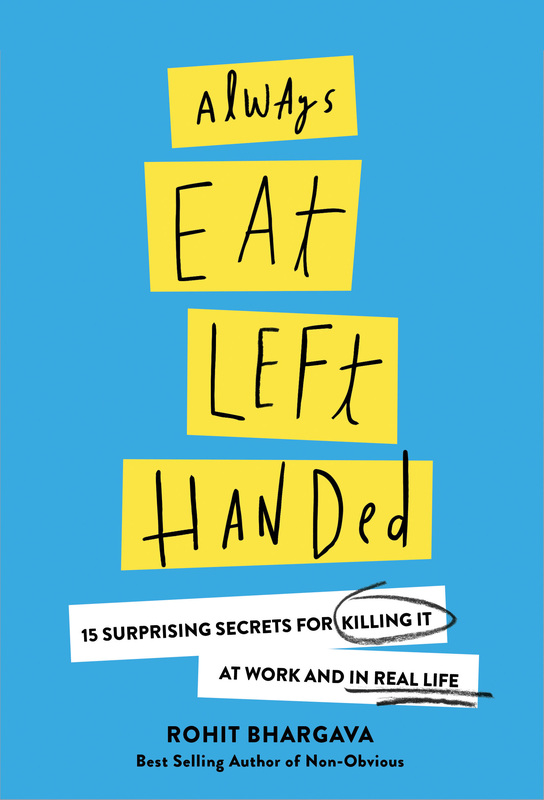 Instead, Always Eat Left Handed offers a real world, no-nonsense playbook for getting ahead in school, work and life by doing exactly the opposite of what most people tell you. Starting, of course, with eating left handed.